The BrailleCoach™ teaching support device is a unique way to learn Braille enabling the student to work independently between lessons enhancing their progress. 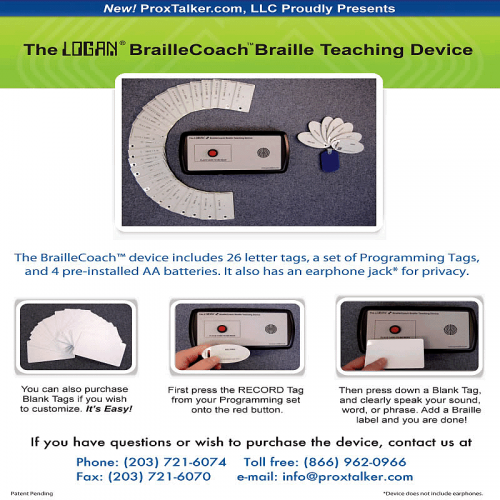 Easy to use – BrailleCoach™ comes with an alphabet set of pre-programmed Braille tags making it useable out of the box. Easy to progress – there are three modes of learning which allow progression through grades 1 and 2 Braille : Mode 1 Letters and Dots, Mode 2 Letters only, Mode 3 Letters and Words. 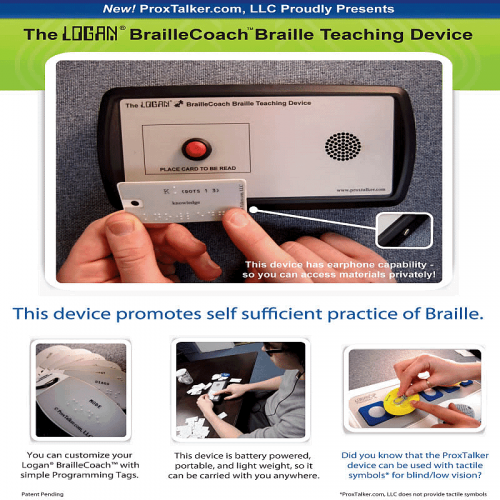 Easy way to support writing – use alongside a Braille writer and the verbal message will prompt the process.